All of my pregnancies have had three or four years between them. We never really "planned" it that way, it just kind of happened. And really, it worked out pretty well. The older sibling was a bit more independent, more capable of helping, and a bit easier to entertain. Well, that didn't happen this time. Instead, my toddler just turned two about a month after his little brother was born. 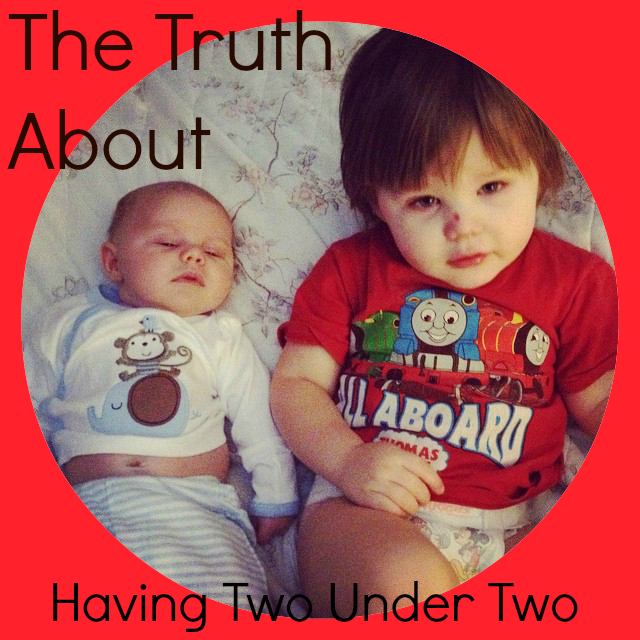 I've been saying I have "two under two" although I suppose technically one is not "under" two anymore, he's actually two. Eh. Close enough. But I digress. I've got to give HUGE kudos to all the mommas out there who have a toddler & new baby (or more!) because you deserve a pat on the back. You are Super Woman! Although I have older kids, it's a bit of a new ballgame for me. Someone is always pooping. Sometimes I think they plan it that way. "HA! Let's time our bowel movements so mom has to change double the poo!" Your toddler and baby will inevitably be upset at the same time and you'll have to figure out which problem is the most pressing or easily fixed. One of them will spend more time crying and you'll feel terrible about it. You will be overwhelmed with mountains of laundry. How is this possible since they are only two little tiny children? Well, the baby will probably go through at least one outfit a day with the occasional poop explosion, peeing out the side or back of the diaper, spitting up, etc. And then you've got blankets, burp rags/towels, and probably your own clothes that have just been peed, pooped, or spit up on. And if you're breastfeeding, you've may have a little extra laundry from milk leakage. Your toddler may or may not go through more than one outfit - it just depends on what all they've gotten in to and whether or not you're potty training. (If so, add a million loads.) Then you have your regular laundry (towels, blankets/sheets, you & your spouses clothes) and your other children's clothing and bedding. Voila. Mount Laundry. You will become a logistics planner when you need to go somewhere. Can I nurse in this top? Did I use all the diapers up in the diaper bag? Better double check. Where is my wrap? Gotta remember to grab my wallet off the desk. How much time will we have before the toddler needs a nap? Did I remember the snacks? How cold is it outside? And along those same lines: you'll need at least half an hour to get ready to go. This is especially true if you have older kids as well. Some family members have chuckled at me getting ready to leave a huge amount of time before we need to actually go someplace but I can't just run out the door. Instead, I spend that time: making sure the diaper bag is stocked with extra outfits, diapers, snacks, and wipes; grabbing my cell phone, wallet, and any other things I need; making sure everyone is dressed halfway decently/seasonably appropriate, securing two toddler/child seats, packing the baby up into his infant seat, going back in the house for the things I forgot, finding my keys, doing a head count to make sure there are four/five of them in the van, and still ending up 3-5 minutes late. Even though you're allowing yourself more time, you will inevitably forget something. Diapers, an extra outfit, the snacks, your wallet, money....something. You will feel like a giant idiot and possibly even have to go back home. This is okay - you're still a good mom. A hidden chocolate break is totally acceptable - in your bedroom, hall closet, bathroom - wherever you can escape to for a few minutes. This is sometimes accompanied by crying. Yours, of course. This is also okay. And you are still a good mom. Luckily, these days do go by quickly. Although they may not seem like it at the time. If you are lucky enough to have support and help, that makes them go even better. (If you don't have that, please message me and maybe I can help you find some groups or resources in your area!) 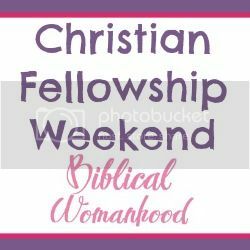 Some things that have helped me are: friends I can text for advice or encouragement, local support groups for new or breastfeeding mothers, church members and friends who brought us huge amounts of food, family members who have babysat or accompanied me to appointments/events, and a husband who helps out when and where he can. If you're currently in the "two under two" trenches or have been at some point in your life, hello fellow soldier! Leave a comment below letting me know how things are going for you or what helped you to cope. I'm now a part of your ranks and I salute you! I once had two under two ! My two oldest are 18 months apart . Enjoy those moments they go by so quick ! They are cuties for sure! I had 4 in a row that came every 18 months like clockwork. So at one point, there was a newborn, an 18 month old, a 3 year old and a 4.5 year old (plus 2 older sibs, 6 and 10). Crazy times! But they're 18, 17, 15 and 14 now, and they're a lot of fun. Still just as much laundry, lol, but I'm really enjoying them.